It was only yesterday when I complained about no new releases recently and voila, we get some rumors about China You Are Here releases. See the pic? I can’t believe my eyes – Christmas YAHs in June? Really? Starbucks, please have mercy. So far we see three mugs. 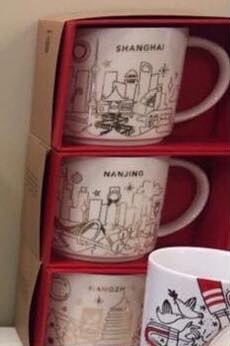 Two of them are: Shanghai, Nanjing. The third one is hard to identify.